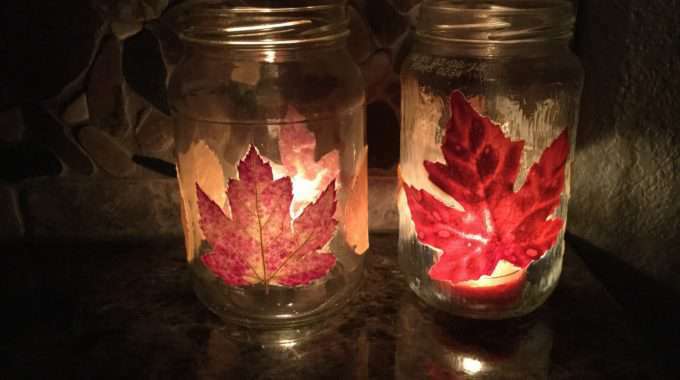 You can make a fall candle with real or fake leaves using the same technique that is pretty easy. 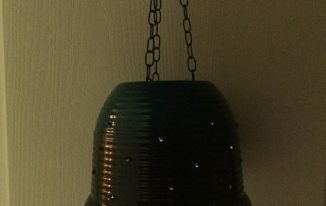 The best part is you can use a recycle jar and it will cost little to nothing to make! 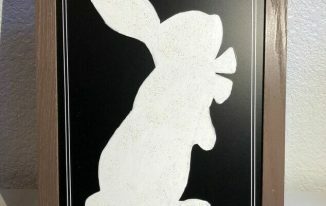 Great project to do with kids, friends night out, centerpieces, and party favor. Paint some Mod Podge onto the recycled jar or candle holder. 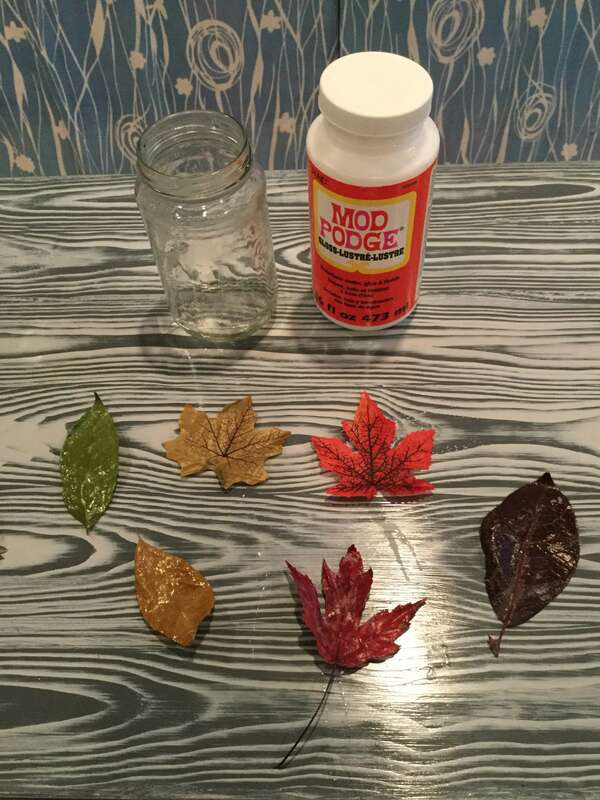 Place your leaf on the Mod Podge on the jar. 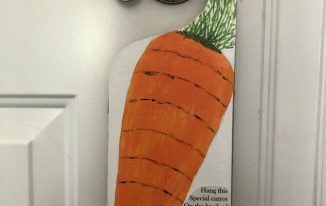 Place Mod Podge onto of the leaf. Continue doing this process until you get as many or as little leaves onto the jar that you wish. The jar on the left is fake leaves, the jar on the right is real leaves. Place tealights or battery operated tealight in your candle holders. They are ready to be on display or gifted to someone. I found this candle holder at a thrift store and thought it was fitting with my candle holder that I made. I love the way the colors glow when the candles are lit. I’m glad I got some extra faux fall leaves at the dollar store today. This one is easy for the kids too. Love the candle holder – need to watch the thrift shops. Dollar Tree was starting to put out Christmas stuff while I was there, picked up some cute little fairy lights and some clear ornaments in 2 sizes. Smaller ones to drip paint, larger ones to use the fairy lights and maybe some garland or something. I saw some cute shiny holiday shaped confetti in pretty colors too. Might go back tomorrow and pick up a few. Thanks again, Chas!